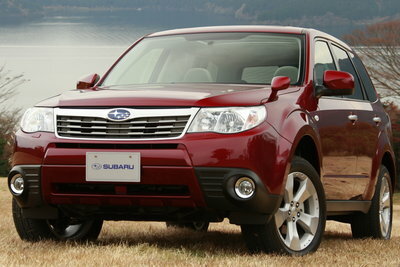 The Subaru Forester is a compact all-wheel-drive wagon crossover SUV with seating for five. Similar in size to the Honda CR-V the Forester has more than enough passenger room and cargo volume to suit a small family. Standard all-wheel-drive adds an extra measure of security in bad weather. The standard 170-bhp 2.5L flat-4 is available with a 5-speed manual or 4-speed automatic. Enthusiasts looking for an innocuous sport wagon should pick the 2.5XT, which is equipped with a 230-bhp turbo version of the base engine, and offers the same transmission choices.